Tatyana supersmall satellite is manufactured by Production Corporation "Polyot" (Omsk, Russia) in the interests of Lomonosov Moscow State University. 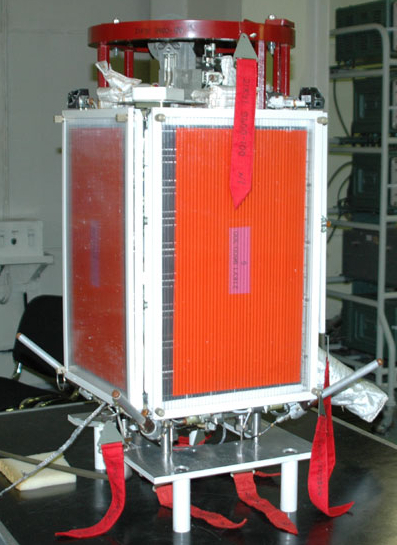 The payload of the Universitetskiy satellite includes groups of detectors of charged particle flux measurements (BD1-BD4 and BA); UV-emission detectors: 300-400 nm wavelength (DUV); information units that record and transmit scientific information from the detecting units to the auxiliary units, which in turn transmit it to the ground-based receiving stations (BI). Состав детекторов и измеряемых параметров. The scientific equipment "Tatiana" is developed for the detection and registration of the abnormal physical phenomena resulted from seismic activity, for their operative analysis and selection of the strong earthquakes precursors, and also for the global monitoring of the abnormal seismogenic phenomena and their consequences. The Universitetsky-Tatyana satellite was being tracked by two ground stations, in Kaluga and in Moscow State University. While the data received by the Kaluga station has been processed and is now available here, the unprocessed telemetry files received by the MSU station are available here. Data available from 2005-01-21 to 2007-03-06 with small gaps. See the data availability table for details.